6. 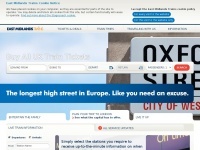 Ran­gers and Ro­vers /train-ti­ckets/cheap-train-ti­ckets/ran­gers-and-rover..
8. Group­sa­ve and Group Tra­vel /train-ti­ckets/cheap-train-ti­ckets/group­sa­ve-and-gro..
10. An­nual Sea­son Ti­cket Be­nefits /train-ti­ckets/season-ti­ckets/annual-season-ticket-b..
9 links pointing to Southwesttrains.co.uk were found. Individual words like Trains, West, South and Parkstone are frequently used in text links from other websites. 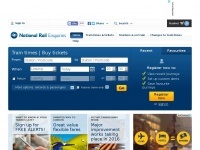 The most important links to the website are from Nationalrail.co.uk and Melplashshow.co.uk. The homepage of Southwesttrains.co.uk and the subsite /offers--days-out/offers/promotion/?nreTrack=promo_swtrianssummer are most referenced by other websites. 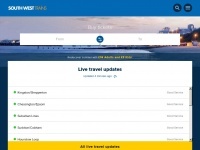 The table shows the most important links to Southwesttrains.co.uk. The table is sorted in descending order by importance. 1. www.nationalrail.co.uk Off-peak day return tickets. Just £16 for adults and £3 for kids. The table shows websites of Southwesttrains.co.uk, which are often linked by other websites and therefore they are classified as important content. 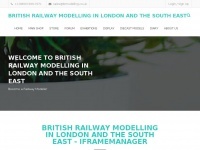 Brmodelling.co.uk - British Rail­way Mo­del­ling in Lon­don and the South East ..